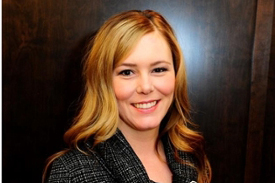 Allison Cammer is a PhD candidate in Nutrition and registered dietitian working at the Rural and Remote Memory Clinic at the University of Saskatchewan. She is co-supervised by Dr. Susan Whiting (Nutrition) and Dr. Debra Morgan (Medicine). Prior to pursuing her PhD, Allison practiced dietetics in community, food service, administrative, and clinical settings. She has a BSc in Nutrition, BA in Women’s and Gender Studies, and MSc in Community Health and Epidemiology. In 2014, Allison was honoured as a College of Pharmacy and Nutrition Alumni of Influence. Allison’s research examines the practices of nutritional care of urban and rural long-term care residents with dementia. Her research follows an integrated knowledge translation approach. She has partnered with decision makers and knowledge users to ensure the research findings will be meaningful and useful to improve care. Allison’s research is funded by the Canadian Foundation for Dietetic Research. During her PhD studies, Allison has received an impressive number of awards, including an Alzheimer Society of Canada fellowship (2012 - 2015), the Rhea Ritchie scholarship in human nutrition (2015), the McIntyre Family Foundation Prairie Healthcare recognition (2015), two CIHR-STIHR fellowships (2012-14), the Dietitians of Canada graduate student award (2014), the Hope Hunt Memorial Award (2014), and the Canadian Association on Gerontology’s Schlegel-University of Waterloo Research Institute for Aging award (2013). Dal Bello-Haas, V., Cammer, A., Morgan, D., Stewart, N., & Kosteniuk, J. (2014). Rural and remote dementia care challenges and needs: perspectives of formal and informal care providers residing in Saskatchewan, Canada. Rural and Remote Health, 14, 2747. Cammer, A., Whiting, S., & Morgan, D. (submitted) Care Aide Perceptions of Best Nutritional Care Practices for Residents with Dementia in Urban and Rural Long-Term Care. Dietitians of Canada Annual Conference. Winnipeg, MB, June 8 – 11, 2016. Cammer, A. Best practices regarding nutritional care of urban and rural long-term care residents with dementia. 8th Canadian Conference on Dementia. Ottawa, ON, October 1-3, 2015. Cammer, A., Morgan, D. & Whiting, S. Nutrition care needs of Alzheimer Disease versus non- Alzheimer Disease patients of a Rural and Remote Memory Clinic. 7th International Symposium: Safety & Health in Agricultural and Rural Populations: Global Perspectives (SHARP). Saskatoon, SK, October 19-22, 2014. 1st place Scientific Merit and People’s Choice award. Cammer, A., O’Connell, M., Morgan, D., & Whiting, S. Nutrition care needs of Alzheimer disease versus non-Alzheimer disease dementia patients. 2014 Annual Canadian Association for Health Services and Policy Research (CAHSPR) Conference, Toronto, ON, May 13-15, 2014.